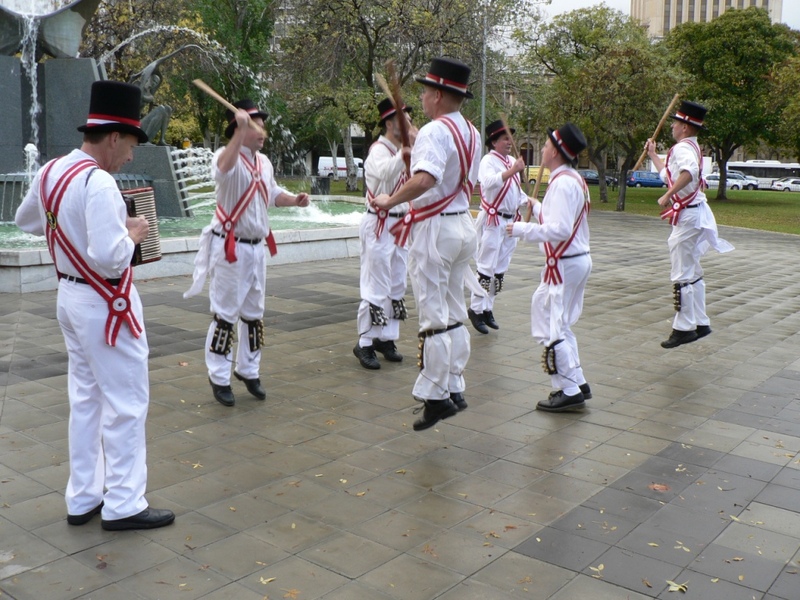 There is a long tradition of morris dancing as part of May Day celebrations. 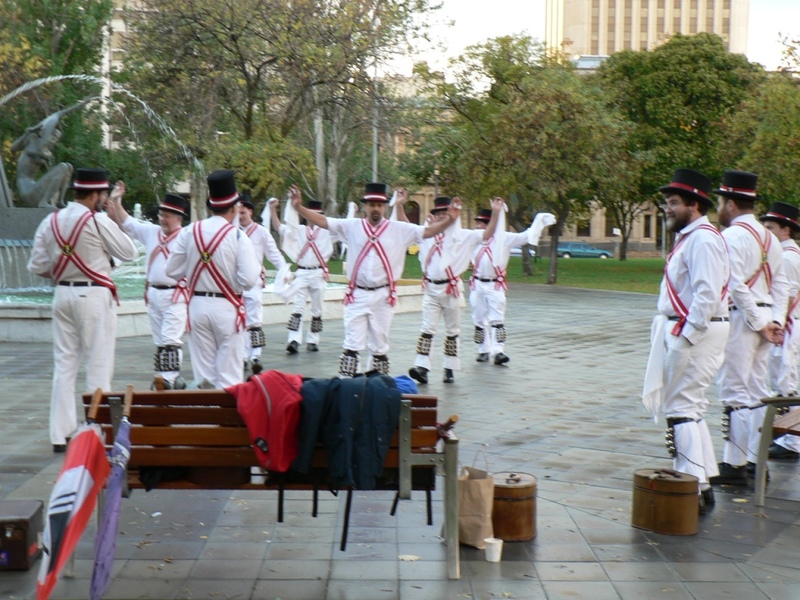 The Adelaide Morris Men habitually gather for dancing at sunrise on May Day at Victoria Square in the centre of Adelaide. 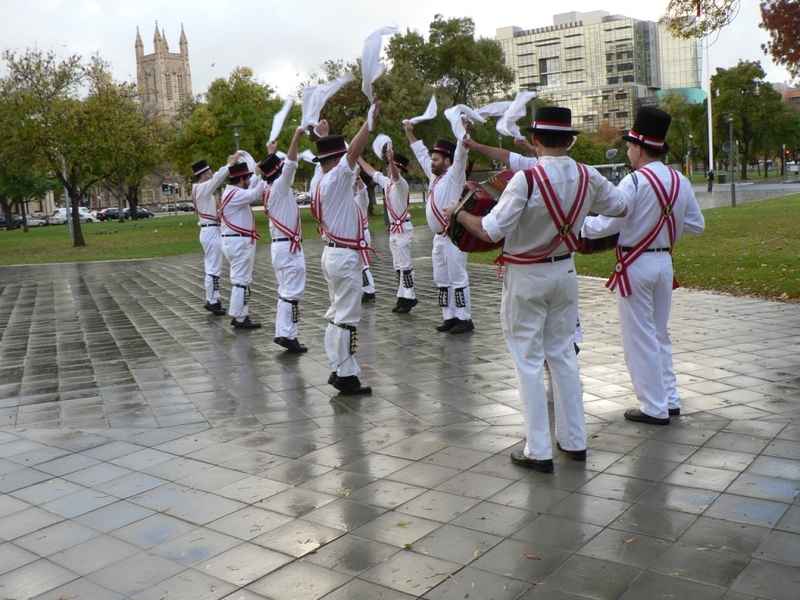 Here are some pictures from 2006.